The discussion surrounding Manny Pacquiao and Floyd Mayweather Jr. has yet to die down, nor has it moved significantly forward. Recently, reports that both of the fighters’ camp are exchanging dialogue has surfaced with the fighting senator himself saying that update could come out in the coming weeks. Of course, the chances that Manny Pacquiao and Floyd Mayweather Jr. will meet in the ring again are slim to begin with given the latter’s previous statements. The undefeated boxer already announced that most – if not all – of his fights this year will be exhibition matches. What’s more, he said that he’s going to be earning a total of $80 million for all the matches, TMZ reported. Floyd Mayweather Jr. said that the main reason for his decision is that he’s taking care of his health. At age 42, the American fighter does have cause for concern about a possible injury sustained during intensive bouts. 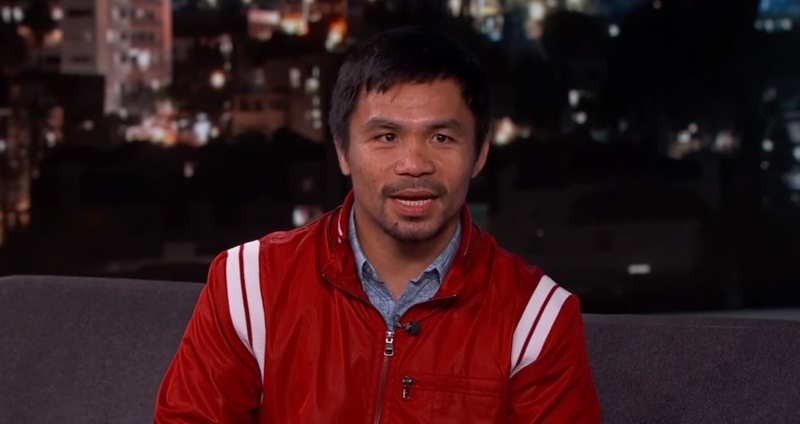 Meanwhile, Manny Pacquiao has yet to announce who he’s going to be fighting next. The most likely candidate that has emerged is Errol Spence Jr. Of course, Spence will still need to defend his belt against Mikey Garcia on March 16. The match has been set to take place at the AT&T Stadium in Arlington Texas. Manny Pacquiao and Floyd Mayweather Jr. are expected to attend the title defense, which will likely fan the rematch narrative once again. Although both boxers are future Hall of Famers already, their fight in 2015 is considered lackluster at best. Manny Pacquiao was defeated convincingly when Floyd Mayweather Jr. employed his spectacular defense that the former had difficulty bypassing. Since then, they’ve faced other opponents and the talks about sequel fights didn’t completely die down. Manny Pacquiao’s latest win was against Adrien Broner who he defeated by unanimous decision; a result that the latter has protested adamantly. Floyd Mayweather Jr., on the other hand, recently made headlines when his exhibition match against Tenshin Nasukawa resulted in a one-sided beating.